I like peanut butter cookies. I LOVE peanut butter blossoms ! When my local grocery store had a sale on Hershey kisses, these cookies immediately came to mind. My boys love anything with peanut butter! 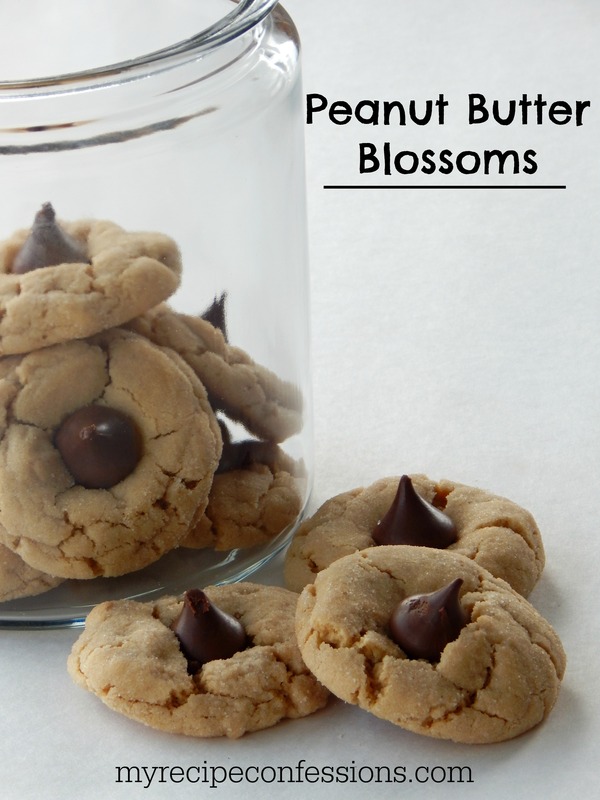 Generally, there are two things that I don’t love about peanut butter blossoms. They tend to be a bit dry and salty. To remedy this, I added sour cream and left out the salt . The sour cream made them very moist and without the salt they had the perfect flavor! My husband doesn’t generally like peanut butter blossoms. But with these cookies, I was able to convince him that peanut butter blossoms aren’t so bad. Come on, give them a try. I know you will like them too! 1. Cream butter and sugar together until light and fluffy. Mix in eggs. Add peanut butter, sour cream, and vanilla extract and mix well. 2. In a small bowl, mix the flour and baking soda together. Add the flour mixture to the peanut butter mixture and mix well. 3. Scoop a tablespoon full of cookie dough and roll it into a ball. In a small bowl add the remaining 1/2 cup of sugar and roll the cookie dough balls in the sugar. Place the cookie dough balls onto a greased cookie sheet spacing them 2 inches apart. Bake for 10 to 12 minutes. Remove from oven and immediately press a unwrapped Hershey kiss into each cookie. Cool completely. Looks so good, this sounds like something I’ll like to try, pinning! Yay, can’t wait for you to try them. My three year old begs me every day to make them again.